Problem: Many people are faced with the challenge of not having back teeth to eat with. Solution: An implant is the latest dental option to restore missing teeth. 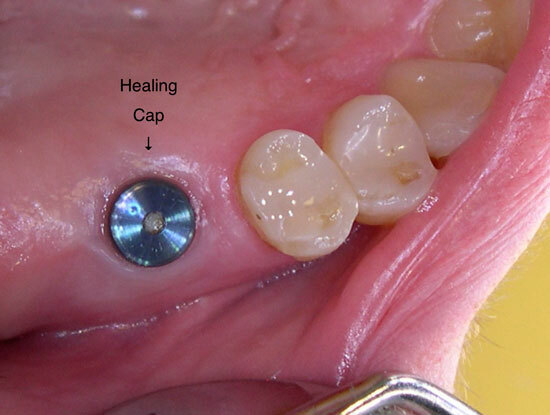 Initially a healing cap is placed over the implant to allow the gum to heal in the correct position. 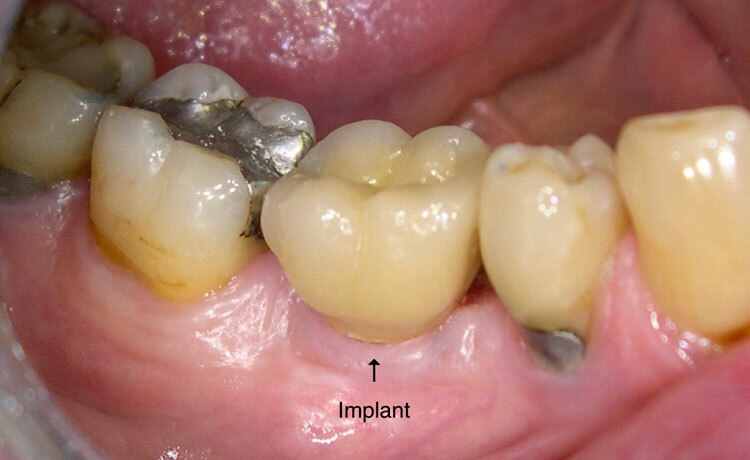 Once the bone has integrated with the implant, a crown can then be made. The end result looks so natural that no one will be able to tell. Dentistry has come a long way!! Problem: Unfortunately this tooth broke to the point that it could not be saved. What can be done to restore this smile? 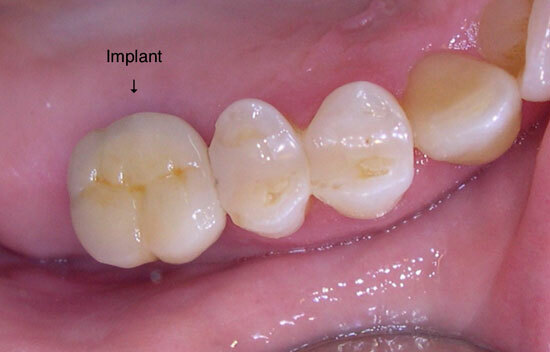 Solution: This tooth was removed and replaced with an implant. Implants have made it possible to actually replace teeth! 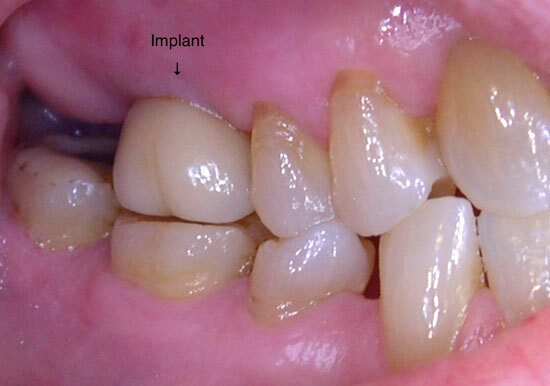 The custom colour and shape of this implant are so natural that it makes it impossible to tell which one is the implant. 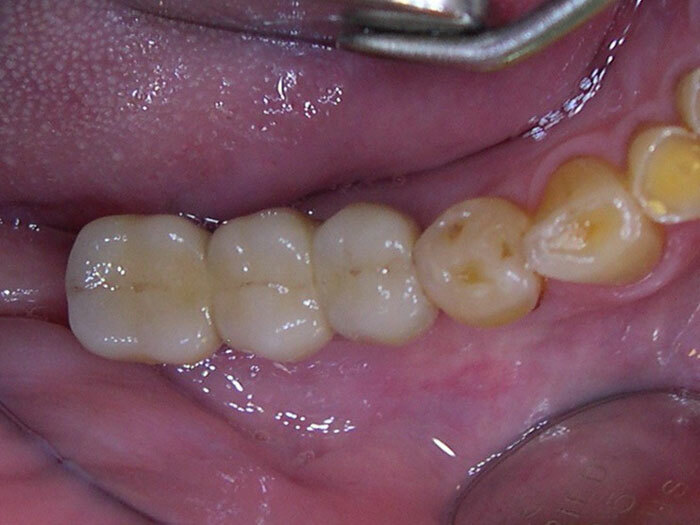 Problem: This client lost one of their back molars. How can a molar be replaced in the least invasive way possible? 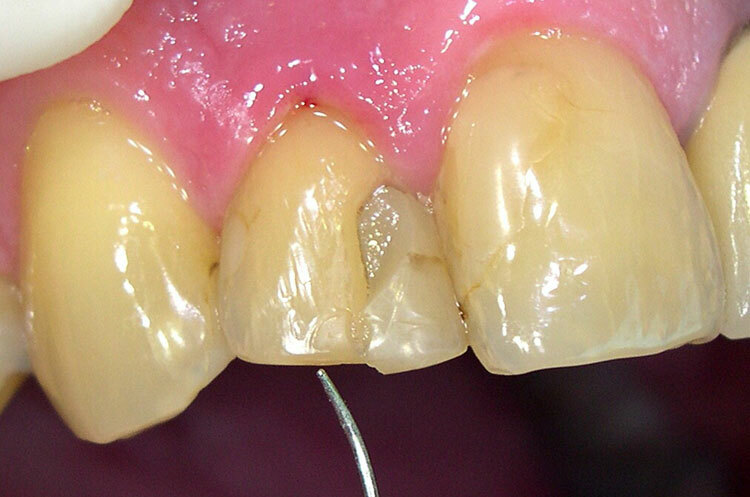 Solution: By placing an implant to restore this molar, the adjacent teeth did not have to be touched. This means that cleaning and maintaining this tooth will be just like a natural tooth! Not to mention that the colour is perfect because of the natural and life like material used! Problem: Missing back teeth can make it challenging to eat! 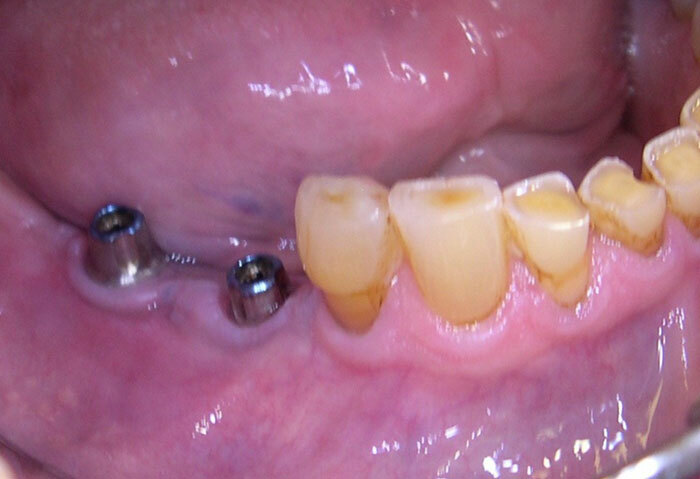 Solution: This client was able to restore their two back molars with implants. These implants match perfectly and make it possible to eat without a challenge!! 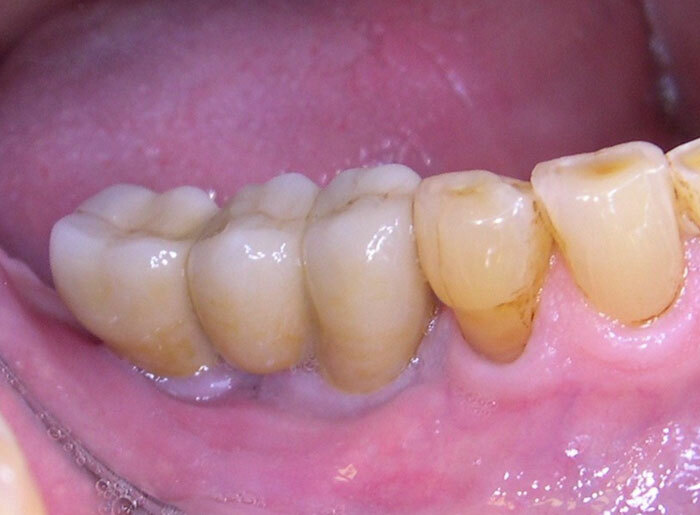 Problem: This client needed to replace a lost front tooth. 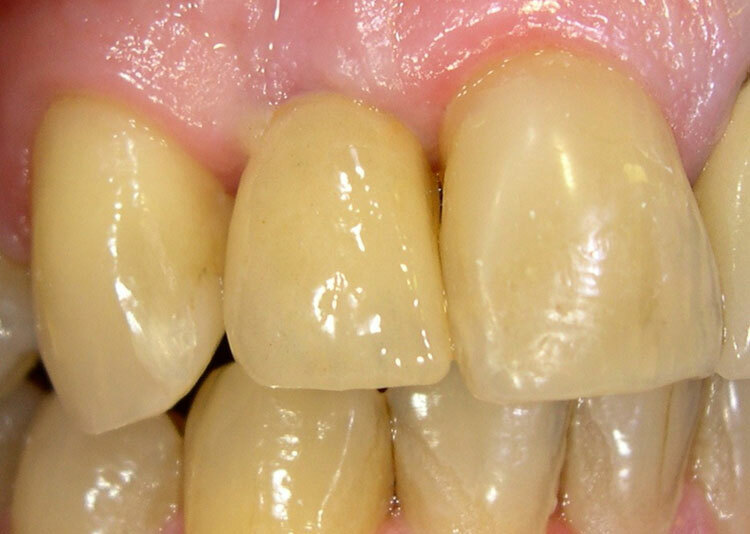 The two adjacent teeth had not had any dental work done to them and the client did not want to have a partial denture. Solution: A single tooth implant was the best option to replace this tooth. The client could not be happier with the result. 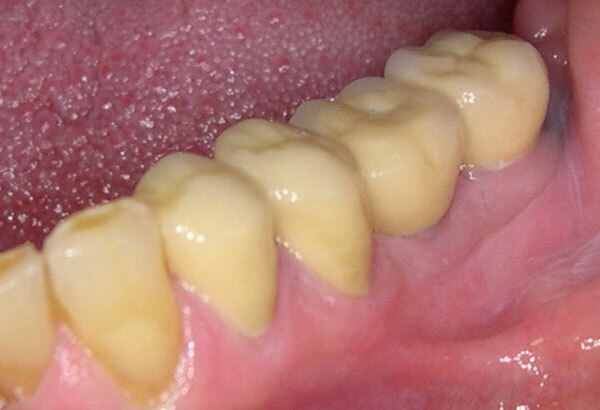 Problem: This client did not have molars to chew with. 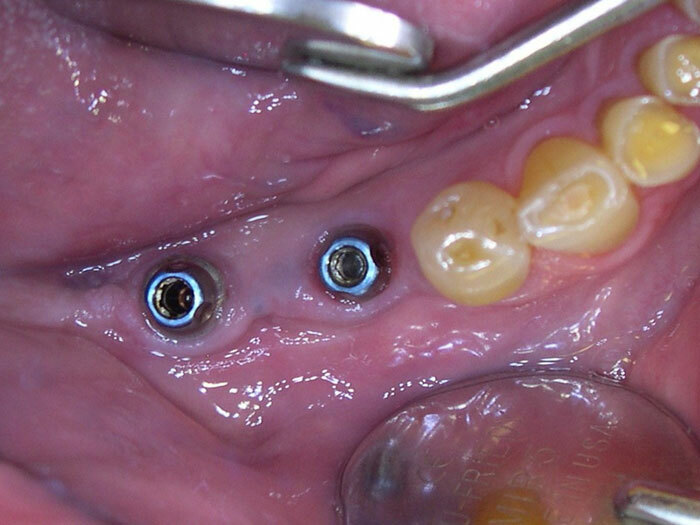 Is there an implant solution that can reduce the number of implants that have to be placed when there is a large area of missing teeth? Solution: A bridge can be placed, as in this case to restore chewing function. 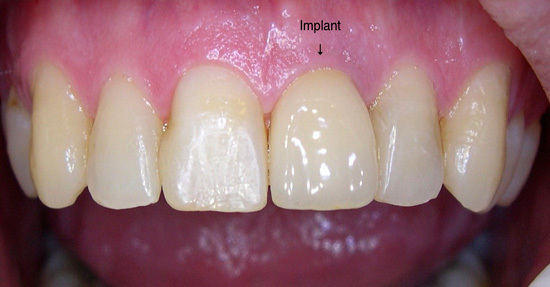 Implants have made it possible for people to have permanent solutions to missing teeth. Solutions that looks so natural that it is virtually impossible to tell! !